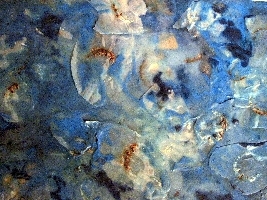 I work in encaustic, mark making with fire, mix media. I define my work of that of transformation, transmutation, in moving from chaos to light. I am about finding balance between the inner and the outer, the process and the soul. My art is about the spirit in all things and how clearer all gets when one creates. My work is often defined as Zen inspired, instilling a sense of peace to the viewer. I am an emergent artist, although I’ve made art all my life it is only now that I am showing. I am a point in my life when I can pursue my art after a lifetime of nurturing others. I have spent 28 years in NYC public school system supporting schools in special education and in creating art experiences for teachers and children. There is no greater service one can give then working with children with limited opportunities in the arts. ALL WORK IS FOR SALE.